When the idea that selective serotonin re-uptake inhibitors (SSRIs) might make people feel suicidal first started to be discussed by people like David Healy, I admit I was sceptical. It didn’t seem to me the drugs had much effect at all, and I couldn’t understand how a chemical substance could produce a specific thought. Since that time, however, the evidence has accumulated, and moreover, it is clear that the suicidal thoughts and behaviours usually occur in the context of a state of intense tension and agitation that the drugs seem to precipitate in some individuals, especially the young. It seems this state can be so unpleasant as to make people impulsively harm themselves, and some evidence suggests it may lead to aggressive behaviour as well. Because these effects did not show up in randomised controlled trials, however, they were dismissed and few efforts were made to study them properly. Then some large meta-analyses, which combined results from different trials, started to find an association between the use of modern antidepressants and suicidal thoughts and actions, especially in children. The latest large meta-analysis, conducted by a group of researchers from the Nordic Cochrane centre in Denmark, confirms the association between suicidality and SSRI use in children, and also finds evidence of an association with aggression in this age group. This is the first meta-analysis to report an association between SSRI use and aggression, and confirms other evidence described by David Healy and colleagues in 2006. In my commentary on the study, I highlight how the analysis also points to why such findings have taken such a long time to be confirmed. The analysis used data gleaned from Clinical Study Reports prepared by drug companies for the purposes of regulatory approval. Looking in the appendices of these reports revealed many incidences of suicidal behaviour that were not recorded as adverse events in the Results section of the reports, and were presumably not reported in published articles either. I have been asked whether I think this is evidence of a conspiracy by drug companies to suppress evidence of the dangers of their products. It may be, but it is also evidence of a more systemic failing. The advice from leading psychiatrists is to not take too much notice and to carry on prescribing. 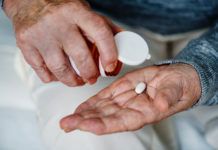 With a few exceptions, psychopharmacology researchers have shown no interest in studying the way these drugs alter normal mental functions and emotions. We know very little therefore about the state of agitation that SSRIs can induce, how often it happens, in what circumstances and what sort of thoughts and behaviours it can give rise to. Why the reluctance to investigate this matter properly? Financial conflicts of interest is one answer, of course. Other factors include psychiatrists’ professional insecurity, and doctors’ perceived need to have something to offer the people who queue up daily in the hope of a remedy for their distress. I hope the publicity this latest study has received will spur the research community into action, and make doctors think more carefully about reaching for the prescription pad. Next articleHello World! An American Nut Challenges Trump About Status of “Bull Goose Loony.” We Are #Nuts4 Global Revolution! What the so-called food quacks will do with SSRI’s is to have their patients take supplementary tryptophan simultaneously with the SSRI so that there’s serotonin enough to have reuptake inhibition actually go on, I also suspect they only use them when patients simultaneously show strong symptoms resembling OCD, what these drugs were used for in the first place. This seems like a naïve hope to me. The investment in protecting the “goodness” and efficacy of psychiatric drugs is so strong because they are so profitable. These drugs support the jobs of thousands of workers at drug companies, profits in the billions for corporations, and they pad the income and support the false medical status of thousands of psychiatrists. Therefore they will be defended and counter-data will be avoided or suppressed. Anything that threatens profit is to be avoided, even if the basis of the profit is something that may kill young people. One has only to look at the way that Big Tobacco responded to evidence about smoking to see that the only way Big Pharma and psychiatrists will give up overuse of harmful drugs is kicking and screaming. This is one of the first times I’ve seen an establishment psychiatrist covertly admit that antidepressants only work at all (beyond placebo effects) for about 10-20% of clients. Impressed that Dr. Paul is actually looking at this scientifically. I have to say, if I were a parent (even not knowing what I know) seeing a 1 in 10 chance that my kid might feel better vs. a 1 in 33 chance they may turn aggressive and a 1 in 50 chance they became suicidal, I’d probably look for other options. All in all, I’d say a person would be better off smoking three joints a day or taking controlled doses of alcohol than experimenting on their brains with SSRIs. Not to take up for psychiatrists, but GP’s probably prescribe more SSRI’s than psychiatrists do. My GP was willing to hand them out like candy to anyone who came in complaining about being depressed and wanting a quick fix for their problems. And of course, they are willing to hand these devil’s tic tacs (ang’s description and not mine but I think it’s a good one) out so freely because the drug reps tell them that these things are totally safe and harmless and that they actually work to do away with depression. Doctors of all specialties need to be more astute about the drugs that they are so willing to get people to take. Might make you feel suicidal ? Yes but also they can make you feel really “bugged out” to use slang to describe the disruption of thinking and feeling. These brain pills are no joke no matter how benign and mainstream the pharmaceutical marketing departments make them out to be. I guess the unpredictability of what’s going to happen if you take this stuff is the worst part , pharmaceutical roulette, considering these drugs are now known to do more harm than good the best bet is not to play pharmaceutical roulette. I know I lost that game bad. Yes, they made me into a zombie who didn’t care what went on around me. They cut me off from my feelings and emotions and made me into a cold and unfeeling automaton. Eventually it came to the point that I didn’t care if I lived or died and while walking to work I’d step off the sidewalk and into the street, just to see if I was going to be lucky that day. Thank goodness the drivers always were alert and missed me but I sure did get a lot of gestures and descriptive language directed to me. And I deserved it but would never have acted like that if I’d not been on those toxic drugs. I’m glad this issue is getting more attention. At the same time, I can’t help but notice that the discussion about SSRI-induced problems is happening after the SSRI drugs have gone off patent. I think this is similar to how the “atypical” neurolpetics are coming under more scrutiny, just as some of the more popular “atypicals” have gone off patent. And similar to how the benzodiazepines were further examined…once the best-sellers were off patent. Yes, and the pharmaceutical industry and psychiatrists did know that, historically, the antidepressants could create the “bipolar” symptoms, thus patented them first. And that the “bipolar” treatments, including the neuroleptics, were patented later, to capitalize on this booming, completely iatrogenic, “bipolar” market. It is all such a well organized, staggeringly profitable, iatrogenic illness creation system. Especially given today “bipolar” drug cocktail recommendations – including combining the antidepressants and antipsychotics – are, indeed, medically known to make a person “mad as a hatter,” via anticholinergic toxidrome. Hope today’s “bipolar” treatment recommendations are changed soon. But, the upper echelons of the psycho / pharmaceutical industries did seemingly take the knowledge they’d acquired over decades about their drugs, and used this information to intentionally harm millions, for profit. “Why the reluctance to investigate this matter properly? Financial conflicts of interest is one answer, of course. Other factors include psychiatrists’ professional insecurity, and doctors’ perceived need to have something to offer the people who queue up daily in the hope of a remedy for their distress. I hope the publicity this latest study has received will spur the research community into action, and make doctors think more carefully about reaching for the prescription pad.” Me, too. It breaks my heart, that instead, the US government is now wanting to screen all adults for depression, and get as many people as possible started on this iatrogenic illness roller coaster. “I will respect the hard-won scientific gains of those physicians in whose steps I walk, and gladly share such knowledge as is mine with those who are to follow. “I will apply, for the benefit of the sick, all measures which are required, avoiding those twin traps of overtreatment and therapeutic nihilism. “I will remember that there is art to medicine as well as science, and that warmth, sympathy, and understanding may outweigh the surgeon’s knife or the chemist’s drug. “I will not be ashamed to say ‘I know not,’ nor will I fail to call in my colleagues when the skills of another are needed for a patient’s recovery. “I will respect the privacy of my patients, for their problems are not disclosed to me that the world may know. Most especially must I tread with care in matters of life and death. If it is given me to save a life, all thanks. But it may also be within my power to take a life; this awesome responsibility must be faced with great humility and awareness of my own frailty. Above all, I must not play at God. “I will remember that I do not treat a fever chart, a cancerous growth, but a sick human being, whose illness may affect the person’s family and economic stability. My responsibility includes these related problems, if I am to care adequately for the sick. “I will remember that I remain a member of society, with special obligations to all my fellow human beings, those sound of mind and body as well as the infirm. I think it’s about total contempt for the public. Contempt for the public is true, but only partly so. These people are psychopaths. Psychopaths are pathological liars and they lack empathy, guilt, and remorse. That’s how/why they can push toxic pills on an unsuspecting public, bury evidence of harm, and hurt/kill thousands/millions every year just for profit. Psychopaths. The covering of Adverse events crossed the line into Criminality a long time ago. I think it’s more about greed, insecurity, apathy, abuse of power and knowledge, lack of regulation and accountability. And, yes, we do have psychopaths in charge right now, too. Corporations are legally required to behave as money grubbing psychopaths for their stockholders. And it’s quite obvious from reading my medical records that my psychiatrist was a psychopath. As was my former pastor, and others are even confessing the head of my former religion is a “psychopath.” We need to get the psychopaths out of control. Thank you so much for bringing attention to this very important issue. As noted in my prior posts-strong on speculation, light on science. “With a few exceptions, psychopharmacology researchers have shown no interest in studying the way these drugs alter normal mental functions and emotions”-except ? 100’s of papers on the effect of antidepressants in non clinical and clinical populations. Of course antidepressants are dangerous. Is this news? MIA-are they dangerous, or do they do nothing? Which of the ideological perspectives shall one take?? In my opinion, a poorly thought out editorial mistaken for science. 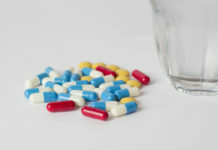 Antidepressants save many lives, and are also over prescribed. You will find camps that swear to both-and they are both equally valid. It is not more complex than that. Where exactly is the “evidence base” that “anti-depressants save many lives? Thanks Katie, yet more science fiction -“psychobabble” then? From 2005-2010 I worked with the best and the brightest at Harvard affiliated Childrens Hospital Boston– a nurse on Bader 5, the child/adolescent psychiatric unit. I think a brief description of their response to the FDAs black box warning for SSRIs seeks volumes. Frontline clinical staff were told that this warning was little more than a disclaimer; that there was absolutely no reason to alarm parents about it. Our duty was to simply reassure them. Assessing kids for suicidal thoughts was part of the “standard protocol”- documented in their medical record each shift –via ticking off boxes- yes or no . It was reinforced to staff that we were engaged in best practices to assure best care for our patients–already. Nothing “new” was indicated. It was also reinforced that informed consent for administration of ALL psych drugs was obtained by the prescribing “Harvard” MD–Trust in that! -I was in that category for 5 years! The problem? I did not learn exactly how this warning came about– or even what the adverse reaction leading to suicidal thoughts and suicide looked like. Though I asked repeatedly for more info and attempted to engage doctors and fellow nurses, I ultimately fell in line– trusting that the best and the brightest “had spoken”. I admit that I sought out this Harvard affiliated institution , believing it was the best; the ultimate, state of the art approach to working with troubled kids- if not there, then it doesn’t exist. I can attest that the latter is, in fact, the case. Beware of *slogans*– a good one can stop thinking and halt progress for–years! Katie, do you think Dr. Biederman had anything to do with this? *DENIAL* is NOT a river in Egypt…. But, denial *IS* the current “standard of care / practice” for the pseudo-science DRUG RACKET known as “psychiatry”. And, as you would know, if you weren’t doing scuba in de nile, “psychiatry” is no more and no less than 21st Century phrenology, with more money and DRUGS…. May God have mercy on your soul, kiddo…..
licensed clinical psychologist who was following me therapeutically, AND the GP who was doing the Rx, and following me medically, both agreed that the DRUGS “MIGHT have had some small therapeutic effect. But they couldn’t say for sure. All *I* can say, is they sure made me *think**about* – but not “contemplate doing”, *SUICIDE*…..
Sure wish I knew THEN, what I KNOW NOW…..
At the risk of repeating myself in comments, the New York Times did not publish a word of this study. UK and Canadian papers gave it front-page status, but did mainstream US papers receive pressure from the pharma advertisers? I don’t know. NYT has significant ‘Health’ and ‘Science’ sections that are widely read (and education sections targeted to schoolkids and university-aged ‘kids’). The paper leaps on every new biological news and research story and regularly underplays — or ignores! — ‘negative’ research on pharma risk. When I tell other parents about the study, their eyes widen like saucers. Nobody’s heard it, and everyone’s shocked. That is a trend I have noticed before. I found out that Time and other newsweeklies have a European edition, in which they talk about world politics and economics and important issues of the day, and an American edition, where they’re more likely to talk about Hollywood or the President’s vacation and “lite” news items that won’t upset anyone. Whether this is marketing to the sensitivities of US readers or an attempt to keep us in the dark, I can’t really say, but it is beyond question that the USA gets sanitized news that the rest of the world would find trivial and banal. You find the same result if you watch the news from something other than NBC, CBS, or ABC. Many times the report in done by another news organization will sound like the exact opposite of the one heard on the three above. I was alerted to this one day by a woman whose husband was a Palestinian Christian. He watched Al Jazerra (sp) and after listening to him decided to see for myself. I didn’t recognize the “news” about the very same event as I’d seen it on one of the above organizations. Interesting. Unless doctors read the raw data of clinical trials, they don’t get the full story. Reading Dr. John Abramson’s book, “Overdosed America,” he took the time to research the raw data in clinical trials when he had questions in his mind about some of the drugs. That’s when he realized that the trials were shams. “Psychiatry Under the Influence” takes a deeper look at the issue. 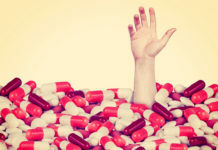 Big Pharma has woven itself so completely in the medical system that it’s going to take a very long time to unravel all the damage that’s been done: Doctors getting perks from pharma companies; pharma reps touting the newest pills; primary care doctors being given very little information in medical school about drugs yet prescribing them daily (which seems unbelievably incredible to me – and quite frightening); medical schools funded by Big Pharma; Dr. Califf a bedfellow of Big Pharma. These are only a few of the huge obstacles that need to be faced. But will they be? The news about the truth of clinical trials generally comes out decades after the pharma companies have made a boatload of money. But this does not address nor excuse the lack of curiosity doctors display when patients report adverse effects of prescription drugs. Skepticism is also the prudent, rational stance toward any of the poisons doctors prescribe as there is no security in either effectiveness or safety that is reported as the outcome of ant RCT– even if one were to be conducted ethically and fully transparent for crucial scientific inquiry. There is something inherently disturbing about doctors who swear by the claims of pharma reps. I wish there were a more plausible explanation than financial reward– but honestly, the basic science and human physiology courses that are prerequisite to attaining a medical degree completely dispel, in my mind, the notion that prescribing poisons could *rationally* become a practice based on blind faith in businessman who will never meet the patient. There is no doubt that Joseph Biederman's holds a position of both power and influence, granted him by Harvard Medical School, who has permitted him to maintain this position despite the well publicized episodes of Biederman's unethical behavior and evidence of his transgressions from a science based practice of psychiatry. Biederman is affiliated with Mass General Hospital, not Boston Children's, however there is no doubting his influence as a professor in the medical school and a prominent academic psychiatrist. Yes, he has set the tone and established practice guidelines as well as the practice of exerting authority that does not tolerate questioning or challenge from frontline staff. I think the more realistic view that accounts for the acceptance and perpetuation of anti-academic, anti-scientific inquiry that translates as adherence to doctrines and dogma, is the result of many psych clinicians , abdicating our professional duty to investigate and study the literature published by our colleagues and to question our own practice when patients do not get better and many resist or refuse care. In the absence of objective measures of both disease and recovery, it is unacceptable to discount the subjective experience of the patient. The perpetuation of this sham requires agreement amongst all of the licensed professionals employed in the mental health system, to follow the doctrines issued by Biederman and his like-minded colleagues, and deny their professional duty to patients. Thank you for your answer, Katie, and I agree wholeheartedly with your comments. When I sit, after reading ALL these heartfelt comments, AGAIN, and reflect, and feel, and let that all sink in…. What do I feel? Sad. Sadness. A deep, deep, deep SADNESS…..
How many PEOPLE have YOU KILLED, Pharma? How much BLOOD is on YOUR hands, Pharma? How many unknown and anonymous “mental patients”? How many COPS have SHOT how MANY folks in iatrogenic pharmaceutical distress? How many BILLIONS of pills? How many BILLIONS of DOLLARS have you STOLEN from the people? How many more years will this continue….????…. How many dead, in the name of GREED? – and IGNORANCE? My God, what have we let ourselves BEcome?